Are you having problems singing on key? Find out what to do about it below. This tutorial is all about learning perfect pitch in singing. When you began to study singing outside the shower, I’ll bet you never thought there were so many things to conquer, did you? Neither did I at first. I hope it will clarify a few things you need to know. 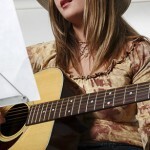 As a new singer you might have trouble learning perfect pitch with certain songs. Perhaps you feel that you’re singing too high or too low for a song, or that you are tone deaf. 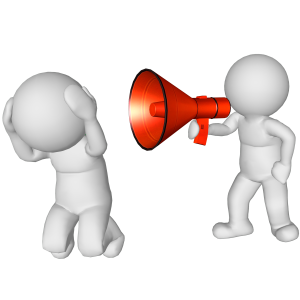 Is Learning Perfect Pitch Important to You? What is Singing Pitch Anyhow? First of all, don’t confuse pitch and tone as these are two different aspects of singing. 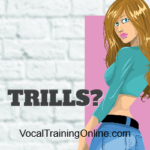 While tone represents the quality of your singing (such as the strident, full, dark/bright, nasal or throaty type of singing voice), pitch is singing high or low (sound frequency). Tone is controlled by emotions or the mood that’s created when singing. By contrast, pitch is basically a measurement of how high or low you’re singing a song. Technically a person isn’t “tone deaf” but just unable to attain the pitch they want in the desired key. Therefore, they simply go off key on certain high or low notes. They might be able to “hear” the tone of their voice just fine. But, they are not be able to hear the key to reach the right pitch. Can You Really Learn Perfect Singing Pitch? Learning perfect pitch takes a lot of practice but it is possible. Some seem to catch on more quickly than others, and there are always those with seemingly a “natural born” talent! Basically, attaining the perfect pitch with your voice means you’ll be able to sing notes correctly (such as Middle C). And, you can vocalize it without ever hearing the note played on an instrument or sung by someone else. Instead of having to introduce the note on a piano, guitar, etc., someone will be able to ask you to start singing in Middle C. You will be able to accommodate immediately. You’ll even be able to sing from sheet music without playing it on an instrument first! It’s called sight reading in the music world. This is the ultimate goal for many chorus members and concert performers. What Does Having Perfect Pitch in Singing Really Mean? When you have perfect pitch, you’ll be able to name the key of a music piece simply by listening. You’ll be able to sing in a certain pitch without an external prompt. And, you can identify each pitch or note by name when played on a variety of instruments. You can eventually name or identify various tones of any given chord. This does not mean that you will always sing on key. It depends on how skilled you are at identifying the pitch and keeping it accurate throughout an entire song. 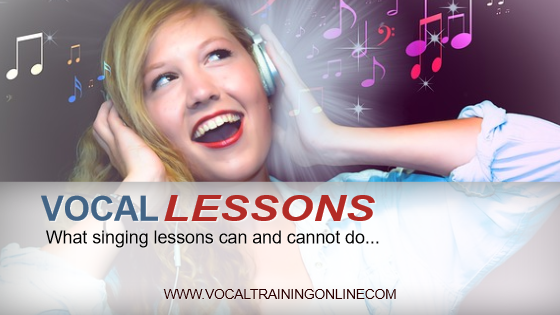 Is Learning Perfect Pitch Necessary to Become a Great Singer? There are actually very few great singers that have this ability. Most singers need to ‘hear” the pitch and be prompted by an instrument before they can start singing. It’s nothing to be ashamed of. Even if performing in front of large audiences, hitting a cue chord is no problem. Many singers develop relative pitch rather than perfect pitch. With relative pitch, a singer can hear one key on the piano or guitar. Then they will guess at the notes that are higher and lower than that particular pitch. It’s not “perfect” but close enough to make a song sound great to the listening ear! You can also practice “matching pitch” by hearing a note externally and then matching it perfectly with your voice. If your voice doesn’t match the first time, then slide your voice up and down until it does match. Do this over an over with each note and notice how the sounds blend when your voice does match the pitch. There are many exercises and singing courses to help with learning perfect pitch or even relative or matching pitch. One popular course is called Pitch Perfector. It’s wonderful at perfecting your voice and not expensive to buy. You can check out Pitch Perfector here..
I’m Practicing – Will I Always Sing on Key? While mastering this skill doesn’t guarantee you’ll sing on key every time, it will certainly help you identify the key of songs. It will also help you start off every song correctly. 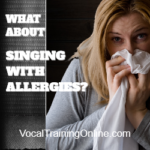 Then you can work on tone, vocal warm ups, breathing, body posture and various singing techniques to improve your vocal skills. 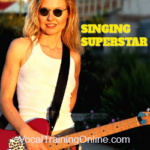 Consider taking an online singing course for learning perfect pitch so you can complete lessons and exercises on your own schedule and at low cost. 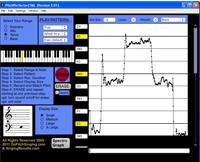 ==> Go here to begin singing in perfect pitch.. Okay, you’ve learned a bit about music industry careers, and what it takes to begin. Now, it’s your turn!